What is the best mobile device management software? The best mobile device management software is Intune Enterprise Mobility+Security, a Microsoft product that can be used as a standalone application or as part of a mobility and security package. It offers features to centrally and securely manage apps and data across all your company devices, data center, and the cloud. Do you bring and use your own device for work? If yes, then you’re part of the growing number of employees who use their personal devices for professional activities. Today’s “mobile-first” society has influenced the way people work. They’re more comfortable and feel more productive using their mobile devices for work-related tasks which have given rise to the practice of “Bring Your Own Device” (BYOD) to the workplace. Companies have recognized the BYOD trend so much so that 59% of organizations allow employees to use their own devices for work such as accessing company networks and data. While there are benefits to using personal smartphones, tablets, and laptops in the workplace in terms of productivity and cost savings, there are also security concerns. These include instances when employees fail to complete device security updates, when they leave the company for good, or when they lose their devices. Mobile device management (MDM) software came about to address these and other similar issues. 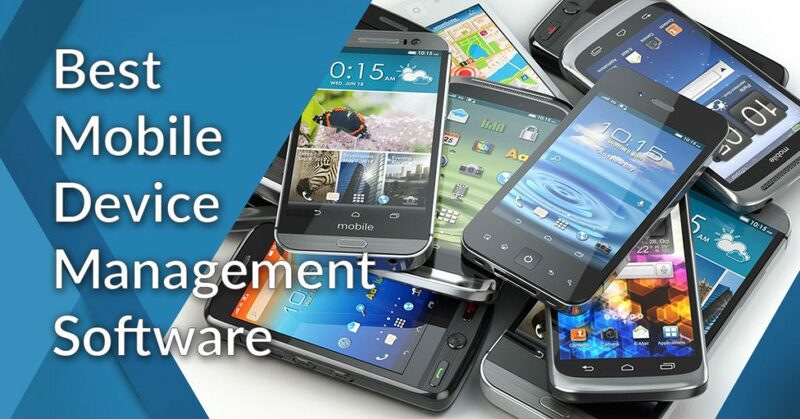 In this article, we’ll present to you the 20 best mobile device management software solutions that you can consider. If your company is on the lookout for an MDM product to support the BYOD program you’re planning to implement, you’ve come to the right place. We’ve narrowed down our list to the leading solutions and highlighted their features and capabilities so you won’t waste time checking dozens of products in the market and are well informed when you do your product selection and purchase. What are the 20 best mobile device management software? What are the features you should look for in mobile device management software? First of all, it should be able to support a wide range of mobile devices that your employees use in the workplace. Second, it should have basic capabilities to help you manage three crucial areas – device inventory, device policy, and device security. Third, it must be able to provide real-time monitoring and reporting. There may be other features and capabilities depending on the product and the vendor. MDM is package as an end-to-end software comprising of several tools designed to provide an IT department with an adequate level of control across multiple mobile devices, apps, network, and data. The software is normally used together with additional tools such as mobile application management (MAM) to come up with a complete enterprise mobility management (EMM) security solution. Below you can see the major functional areas as well as features and capabilities covered by MDM software. Did you know that the practice of BYOD is most common in the manufacturing and education sectors? In addition, studies have found out that more small companies allow BYOD practice compared to larger organizations, although the latter has more formal BYOD programs in place. A Forrester study revealed that nearly one out of five global information workers utilize a minimum of three devices (laptop, tablet, smartphone) each week to finish their work. MDM has given organizations the means to regulate BYOD while maintaining employee privacy, deliver a secure mobile solution and environment to its BYOD workforce, and at the same time safeguard company systems and data. Below we’ve gathered the 20 best mobile device management software products to get you up to speed. While these are enterprise-level solutions, many are offered at affordable prices using pay-per-user or pay-per-device subscription model. Intune Enterprise Mobility+Security is from Microsoft. Intune combines with various Microsoft Azure security and identity management solutions for an updated portal experience although it still contains legacy admin functions. It lets you define a mobile management strategy that fits the needs of your organization and apply flexible mobile device and app management controls, allowing your employees to work with the devices and apps they choose while protecting your company information. Intune is designed to support your diverse mobile ecosystem, enabling you to securely manage iOS, Android, Windows, and macOS devices from a single, unified mobile solution. It also helps you safeguard company data with or without device enrollment by creating app protection policies, as well as achieve IT efficiencies in the cloud so you don’t have to maintain on-premise servers. The solution is offered in pricing plans starting with the Intune Plan at $6/user per month. IBM’s MaaS360 with Watson is offered as a mobile device management solution for your business. It gives you visibility and control of iOS, macOS, Android, and Windows devices through an intuitive portal that enables you to get the most out of MDM without the hassle and complexity. It lets you take advantage of seamless over-the-air (OTA) device enrollment so you can begin managing your devices quickly and easily with no hardware to install. With MaaS360, you get multiple OS support from one console, giving you the ability to cover endpoints securely and productively whether you are dealing with Apple, Android or Windows devices. It can protect these devices beyond their native capabilities, giving your end-users everything they require without compromising security. It even supports IoT devices that use APIs for management, helping you secure these devices and the gateways that collect data from them. MaaS360 is available in four subscription plans starting at $4/client device per month. Cisco Meraki MDM solution provides unified management of mobile devices, Macs, PCs, and the entire network from a centralized dashboard. It gives you the means to enforce device security policies, deploy software and apps, and perform remote, live troubleshooting on thousands of managed devices. The unified multi-device management platform provides OTA centralized management, diagnostics, and monitoring for the mobile devices managed by your organization including iPads, Androids, Macs and PCs. Its Systems Manager monitors each of your organization’s devices, displaying useful metrics such as client hardware/software information and recent location. Offering a robust security policy enforcement across mobile devices administered by your organization, it is able to protect devices and their data, control their usage with fine-grained passcode policies, and restrict access to the app store, gaming, and content. Pricing is quite-based depending on your organization’s requirements. Cisco Meraki MDM pricing is offered on a quote basis. AirWatch MDM is a product of VMware, a leading technology solutions provider. It is a device lifecycle management software that enables IT people to configure, manage, and support mobile devices in-house and remotely. With the MDM solution, waiting time for configuration is reduced as it provides easy onboarding and quick configuration of settings and, coupled with its easy-to-use architecture, enables it to support the bulk provisioning of programs. AirWatch offers protection of corporate information through device security and data loss prevention policies. It utilizes device-level encryption, data encryption and hardware security policies, further preventing data loss with app sharing permissions, copy/paste restrictions, geo-fencing policies, and more. It lets you enforce a device- and/or app-level passcode with complexity and history requirements. You can monitor for malware threats or jailbroken devices and automatically remediate with a remote lock, device wipe or customizable device quarantine controls. Four low-cost plans are offered beginning with the Standard edition priced at $3.78/device or $6.52/user per month. SAP Mobile Secure lets you move beyond MDM with an enterprise mobility management (EMM) solution in the cloud, enabling you to protect and manage your company’s mobile devices and apps. The cloud-based EMM platform offers integrated tools for MDM, BYOD security, mobile application management (MAM), and more. You can manage mobile device security from one SaaS platform and even set up your own enterprise app store. With SAP Mobile Secure you get to secure your organization and employees’ mobile devices and apps without compromising the user experience. You’ll be able to establish detailed device and app-level security policies; minimize BYOD security risks and protect your company’s data; empower your IT to deliver fixes, upgrades, refreshes; and prevent data loss for mobile users in the field. You also get to configure mobile apps, use the app discovery service, and address all possible mobile security gaps. SAP Mobile Secure is available in two budget-friendly plans with prices starting at $1.27/month per device. Trend Micro offers mobile security solution to let you stay safe no matter where you are and what you do. It is built to support Windows, Android and iOS devices, keeping them protected against loss, data theft, viruses, and other online threats. It also guards against phishing scams, identity theft, and fraudulent websites, and enables browsing without being tracked to safeguard your privacy on social media. With Trend Micro Mobile Security, you’ll be able to manage and encrypt passwords and as well as tune up your system with performance boosting tools for your device. It supports Windows 10 and 7 devices, Mac OS X 10.10 or higher, Android 4.2 and higher, and iOS 9.0+. You can get Trend Micro Mobile Security free for all your iOS mobile devices while three other separate paid editions with different capabilities are available starting at $14.95/year for one device. XenMobile by Citrix is designed to assist you in managing all your endpoints through a complete enterprise mobility management solution. It enables you to centralize and streamline the management of mobile devices, traditional desktops, laptops, and IoT through a single platform. It allows you to get a handle on your BYOD workforce, ensuring that you are able to enforce policies, procedures and technologies to protect corporate data regardless of where it resides or is accessed from. As a unified endpoint management solution, Citrix XenMobile has the capability to manage inventory of all device types including corporate-owned and BYO, with a common set of policies. This enables employees to function in their workspaces, across all devices, anywhere they want. The solution supports mobile devices and operating systems such as iOS, Android, Samsung KNOX, and Windows phones. Product pricing varies depending on license type (perpetual or subscription), deployment (cloud or on-premise), and per user or per device. ManageEngine Mobile Device Manager Plus empowers your workforce with the power of mobility with an enterprise solution that is designed to enhance employee productivity without sacrificing corporate security. It lets you manage multiple mobile platforms from an intuitive dashboard, ensure devices are compliant with policies, and troubleshoot devices in real time. Distributing and management in-house or store apps is made easy whether they run in Windows, iOS or Android. You can likewise manage your app inventory, letting you fetch granular app details and oversee app licenses on mobile devices. You can run only select few apps on the device as well as separate corporate apps from personal ones to maintain data integrity. Your corporate data gets foolproof security by letting you remotely wipe device data, detect and report high risk and non-compliant devices, and secure your network with device usage permissions. A free edition is available for up to 25 devices regardless if these are on-premise or on the cloud. Pricing varies from 50 devices and up depending on deployment and payment option (monthly or annual). BlackBerry Enterprise Mobility Suite is a complete EMM solution built to protect your business data and increase workforce productivity. Whether on-premise or in the cloud or a combination of both, it allows your organization to secure and manage all the intelligent endpoints in your enterprise with its flexible deployment options, mobility uptime, and technical support. You’ll be able to mobilize your critical workflows and business processes and apps including Microsoft Office 365. The Enterprise Mobility Suite comes with productivity and collaboration apps, and supports an ever-changing set of third party and custom-built apps. Its Mobile Content Management feature lets you access your business files from SharePoint, OneDrive, Box and more, all with native document editing capabilities. You can secure files even outside the firewall, simplify access and entitlement, use single sign-on and complete cloud service federation, as well as token-based two-factor authentication. The Suite comes in five editions with usage-based custom pricing. Jamf Pro is an EEM solution specifically for Apple devices. It is designed to give employees and students the tools they need to be more efficient and productive at work and in the classroom. It is able to automate device management for you while driving end-user productivity and creativity, through tools that unify endpoint management for Apple devices. It has all the EMM capabilities you need in one package such as device enrollment and deployment, use policies and configuration profiles, and automatic collection of hardware, software and configuration details of Apple devices. You’ll be able to leverage what you already have since Jamf Pro works seamlessly with your asset management tools, network access controllers and other IT services. In other words, it doesn’t disrupt but integrates with existing IT services and technologies including Apple’s device enrollment program, school manager, SSO/SAML, API, ServiceNow, Active Directory, SCCM, and others. Jamf offers two pricing plans – Pro Plan which goes for $3.33/month per iOS or tvOS device and $7.17/month per Mac device. There are additional separate costs for onboarding of devices.  Avalanche Mobility Center by Ivanti is an MDM platform built for supply chain and retail mobility. It is able to manage and control all types of devices used by employees for work whether in the retail floor or in the field such as smartphones, tablets, scanners, barcode scanners, and wearables. Avalanche helps maintain control of your most critical mobile deployments – keeping them secure, available, and accessible – all through one system. The software has been proven in large deployments. It can scale as your operation grows and be able to manage distributed deployments of more than 100,000 mobile devices. Likewise, it can handle segmented workgroups which lets you target and update only devices running a particular app. It can also update based on the schedule you set to minimize device downtime. The solution specializes in managing the mobile computers that drive the supply chain and, as such, can work with legacy devices as will as the latest Android and iOS devices. Pricing depends on the number of licenses you purcahse which starts at $50. Kasey EMM is an enterprise mobile device management software intended to enable organizations to secure mobile devices and data on devices, whether company-owned or employee-owned. The solution lets you enforce comprehensive security and solve your BYOD, MDM and MAM (Mobile Application Management) challenges from a single screen. Kaseya EMM provides you with comprehensive control of devices, users, apps, and data on the devices through policies for consistent device, app compliance settings, containerized apps that isolate company and personal data. It also offers active directory integration for user authentication, quick time-to-value, and management efficiency that allows you to manage and secure mobility for the lowest total cost of ownership. It facilitates onboarding and management of users and devices via a simplified, intuitive UI and a multi-tenant dashboard to manage customer accounts. The software is available through custom pricing on a pay-per-user basis. MobileIron EMM is a modern and secure solution for enterprise-wide management of mobile devices. The software supports applying policies to iOS, Android, and Windows devices, offering a high level of flexibility for companies and their employees to drive productivity while securing sensitive corporate information. Through MobileIron EMM, you can also manage mobile kiosks, point-of-sale systems, and shared devices, making it a truly complete EMM solution. MobileIron EMM enables you to manage a fleet of devices remotely – from device lifecycle and policy deployment to monitoring and retiring – all without compromising security. It unburdens IT departments by allowing users to connect with the system by themselves via a self-service portal. Once connected, IT can enforce security settings on enrolled devices to prevent jailbreaking and other non-security compliant activities which ensure that a company keeps its data from being used illegally while allowing employees flexibility and freedom of choice with their devices. The software is available through custom pricing. Absolute Manage MDM is built for endpoint visibility and control, providing you with always-connected visibility as well as insight and real-time remediation capabilities to stop breaches at the source. It gives you the tools to see, manage and secure every endpoint, everywhere unlike traditional endpoint security solutions that are constrained by network dependencies and contingent upon healthy endpoint agents. With Absolute, no endpoint device will ever go dark giving enterprises highly-assured IT asset management, data visibility and protection, and self-healing endpoint security. The software leverages Persistence Technology, already embedded in the firmware of over a billion popular endpoint devices, to deliver connected visibility and control with an efficient tether to every device, on and off the network. The platform’s capability allows organizations to see and secure all devices, data, applications and users. Product pricing is offered by quote. SOTI MobiControl is an enterprise mobility management solution that secures, remotely supports and manages Android, iOS, Linux, macOS and Windows devices from over 150 device manufacturers. It can help you manage enterprise mobile devices throughout their entire lifecycle, from deployment to retirement. As business mobility has become critical to the success of many companies, Sobi gives you the tools to improve worker productivity while making devices more secure. The MDM software makes it easy to enroll, configure, provision, track and remote lock/wipe all of your mobile devices through a single, easy-to-use interface. You’ll also be able to protect the integrity of your corporate IT environment through biometric and two-factor authentication to prevent unauthorized access to the mobile device and the corporate network. It ensures that data on the mobile device is as private and secure in the field as it would be on a PC in the office. Pricing is on a quote basis depending on the number of devices, monthly or annual subscription, and device deployment. Tangoe Managed Mobility Services is a managed technology solution to keep your employees connected and running on the right devices. It aims to improve operational efficiencies and productivity, uncover cost savings, and drive predictable results. Three key features come with the platform – automation, management, and support. You can automate the planning, procurement, and delivery of your devices to get the right technology into the hands of your employees when and where they need them. In addition, you can activate and manage your mobile technology with industry-leading device expertise, so your IT teams no longer have to deal with the mundane, and your devices are ready out of the box. It also provides top-level support, harnessing over 18 years of experience, to keep your mobile workforce efficient and productive. Tangoe offers enterprise level security and control not only through managed services but also via technology and application helpdesk and implementation services as well as vendor integration. Tangoe is offered through custom pricing. You can also undertake device grouping, device health monitoring, location tracking, and device security. Its analytics engine allows you to track and monitor trends and issues pertaining to performance and usage of business devices and applications. It can deliver content to devices remotely and secure content on mobile devices using containerization. SureMDM offers three low-cost subscription plans starting at $3.99/device per month. MobiLock Pro is kiosk lockdown system that allows businesses such especially logistics companies to easily and effectively control company-owned Android devices. The real-time capability to remotely manage Android devices gives organizations complete control over official Android devices and is a much affordable MDM alternative. At its core is a customizable Android home screen replacement that limits user access to apps and sites allowed by the company. The software enables admins to block access to settings, app installation, and resource-hungry sites and applications. Admins can block access to individual apps or sites as well as browser address bar, preventing users from accessing specific sites. The solution makes it easier for administrators to remotely monitor and manage Android devices using the management dashboard for managing apps, tracking locations, wiping data, monitoring data usage and more. Mobilock Pro offers four pricing plans starting at $30/device per year for up to 25 devices. Baramundi Management Suite is a modular and flexible endpoint management software. it is designed to manage the entire lifecycle of PCs, servers, mobile device, Macs and virtual environments – from the automated first installation, inventory, maintenance, and updates, up to the secure deletion of data at the end of the lifecycle. Basic endpoint management functions are also offered for devices with Apple macOS. The software automates many processes including installation of operating systems and software, equipment inventories, and data security, among others. This greatly frees up the load of IT teams. With its ability to perform time-consuming routine jobs and managing networks from 100 to over 10,000 end devices, it allows you to oversee your IT landscape with ease no matter whether it is in a small company or a global corporation’s network. Pricing is quote based and you can buy only those modules that you really need to manage your server, workstation, or device. Its other features and capabilities include single and multi-app kiosks to lock devices to a single app or a few selected applications; website kiosks where you can feature a website on the device by locking it to the specific device; disable access to other websites, apps or content; and remote control of device peripheral settings. Five budget-friendly plans are offered with prices ranging from $1/device per month to $5.8/device per month. Activity feed on enrollment, compliance, policy, etc. Miradore. Aside from securing mobile devices from smartphones to laptops, this platform lets you automate remotely WiFi settings, password configuration and email account settings. Its main modules include deployment management, software management and location tracking. Relution. Another cloud-based mobile device management solution for multiple device types and OS, this platform is unique for its ability to be installed on premise. This gives you more flexibility to streamline equipment inventory, enforce policy, control data access and deliver apps en masse, among others. Silverback by Matrix42. The workstation management platform is a must-have for remote teams, giving them more productive hours while you don’t lose tab of their location and tasks. The platform acts as a collaborative ecosystem where remote users can share files and gain access to centralized data. Appaloosa.io. An enterprise app catalog and beta-testing platform, it is useful for feedback and pre-launch evaluation. One of its main features is the BYOD management module that allows users to separate personal from work data. KioWare Kiosk Software. What makes this to stand out is its target: remote kiosk management. This makes it ideal for organizations with workstation network, giving the central office more control over their remote staff. FileWave. A mobile device management platform targeted at verticals like K12, government and healthcare. It is likewise suitable to businesses with standard features for mobile management, managed distribution and BYOD tracking. DeviceMax. Ideal for industries such as retail, travel, hospitality and logistics, it’s a one-stop suite that combines device management and diagnostics. It has a simple setup and control interface and features advanced logs and reports. AetherPal. It’s a self-service mobile support management combined with on-demand remote support utilizing real-time data with the end-user at the helm. The platform enables users to boost their mobile uptime, even prolong their device lifecycle. Fusion UDM Premium. It helps you manage disparate and different mobile devices remotely even on a lean budget. The solution allows you to, among others, control inventory, comply with software licensing and manage hardware fails. SimplySecure. It acts as a centralized control room to monitor and manage remote PCs, mobile devices and USB storage. It’s designed for ease of use, a single I.T. person can manage the entire system. Amtel MDM Solution. It allows you to effectively delineate a line between personal and work data when practicing BYOD management. It also helps you access apps remotely on any device connected to the platform. Should You Allow BYOD In The Workplace? Why not? As long as you have a BYOD policy or program in place to take care of security issues and to manage personal mobile use in the office. As we’ve mentioned earlier, BYOD is on the rise together with other related practices it covers such as BYOT (Bring Your Own Technology), BYOP (Bring Your Own Phone), and BYOPC (Bring Your Own PC). It is predicted that half of the global workforce will be mobile by 2020 which is why many organizations are open to BYOD and even encouraging it. It is believed that currently 6 out of 10 companies have a formal BYOD policy in their workplaces. While a BYOD policy can vary among companies, the first line of defense will be an MDM or a full EMM in place to ensure clarity, consistency, and compliance with safety measures and security protocols. It takes only one undetected malware or virus brought in from a mobile device to wreak havoc on a company’s network and compromise its data. A robust MDM goes a long way to make sure that does not happen. Thank you very much for the detailed report. Unfortunately, however, I miss the solution we have in use. Of all the MDM products, we’ve tested AppTec360 comes the closest to meeting our requirements. The software convinced us especially with its intuitive console, the price-performance ratio and the high data security (made in Switzerland). It would be nice to read something about this provider who deserves to be listed as a winner. This is absolutely laughable. InTune is garbage, it takes about 10 minutes with the product to understand that compared with virtually any other MDM. Jamf at the bottom of the list is pretty hilarious and really highlights this author is clueless. Some on your list aren’t even MDM platforms. I’d probably go ahead and take this down or give it another try. Unless of course Microsoft paid for this, don’t wanna impact your pockets.